Home » What are the Most Common Industrial uses of Cotton Filter Cloth? Though there was a definite downfall in use of cotton after the widespread popularity of synthetic materials such as polyester, cotton can still win the race. Cotton is preferred for its performance, strength and versatility. Cotton filter cloths are used for making clothes used for industrial purposes. They are used for making hotel sheets, tents, tarpaulins, army uniforms and lots more. It also has special applications in medical uses; they are used for making cotton wool, gauze bandages, compresses and cotton swabs. Cotton is accepted across the world for making of cotton canvas, cotton filter paper, cotton duck and cotton filter cloth. Cotton Canvas – This is a heavy yet durable cotton fabric. Cotton canvas is plain-weave and used in boat sails, tents as well as other utility products. This fabric is especially useful for making sneakers, sports gears and bags. Cotton Filter Paper – This variety is often used for filtering liquids by separating solid particles present in a liquid mixture. It is also used for purification. Cotton filter paper helps separating dirt from liquids to purify them. This can also used for purifying oil and water as well. 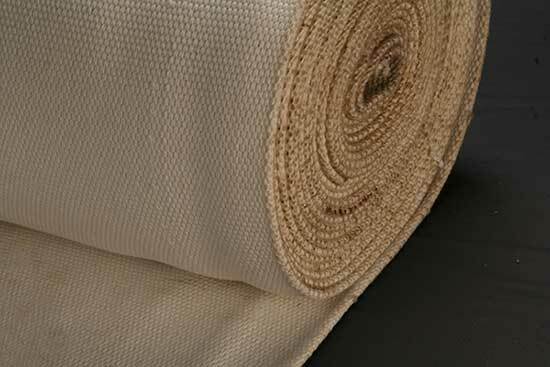 Cotton Duck – Also known as duck canvas or duck cloth, this is a plain woven, heavy cotton fabric. It is more tightly woven than conventional cotton canvas. Cotton Filter Cloth – Cotton is widely used as filter cloth because it is extremely strong while providing strength to the cloth and thus ensuring longevity of cloth. Cotton filter cloth is used for making filter bags as well that are often used as dust collectors. Using cotton filter cloth as duct collector ensures that the air to be perfectly purified sans being contaminated with dust and dirt. Cotton is also used as filter sleeves. Superior Quality – It is usually strong in nature. Cotton hardly breaks or loses its strength. The filter cloths last much longer naturally owing to their strength. It also ensures serving users longer than other common industrial synthetic cloth. Hassle Free Cleaning – Cotton filter cloth is used for purifying liquids like oil and water to remove dust and dirt from them. Therefore, there is always a chance of accumulation of dirt as a collective cake on the cloth. However, this amazing cloth allows you to clean it easily to remove the dirt cake off so you can easily reuse the cloth over and again. This is the reason that cotton is often used for manufacturing filter bag as well. Inexpensive – There are many filter fabrics that are used for the filtration process. They are used for filtering dirt and dust from liquids like water and oil. Among many types of filter cloths available on the market, cotton is often preferred for its cost-effective.